Did that title say zucchini? Why yes, yes it did! Last spring Chris and I planted some zucchini. We were so bummed when we noticed that only 1 of the 4 seeds we planted grew, BUT from that one plant we have more zucchini than we know what to do with! I like when recipes call for an unexpected ingredient. 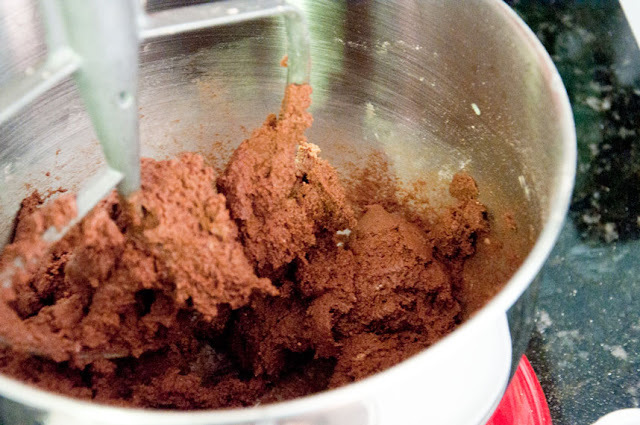 In collage I had a nutritionist girl friend named Laura who was known for her black bean brownies! She writes a food blog now called Wear Me Well. When I came across a zucchini brownie recipe I thought of miss Laura and figured this would be an interesting way to use some of our zucchini! Adapted from, Mommy? I'm Hungry! Pre-heat the oven to 350 degrees. Grease and flour a 9×13 inch baking dish. 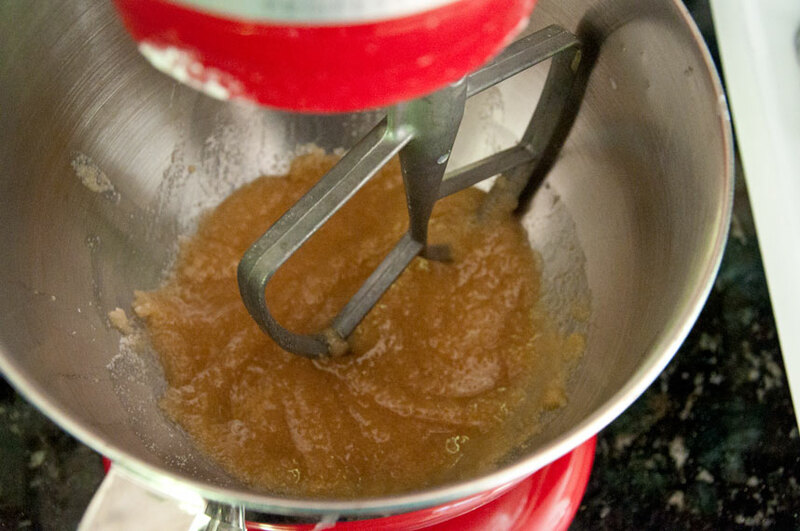 In a large bowl mix together applesauce, sugar and 2 teaspoons of vanilla extract until well blended. 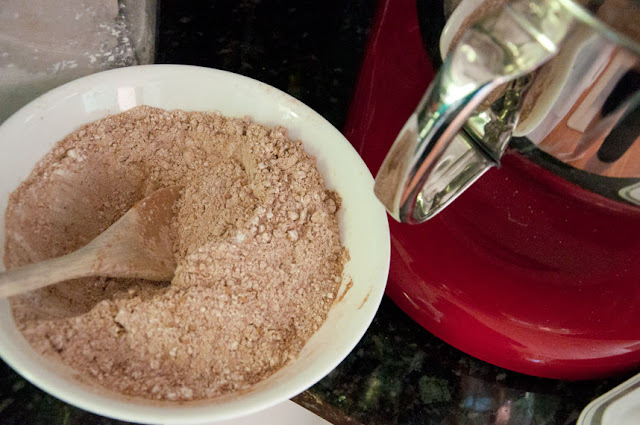 In another bowl combine the flour, ½ cup cocoa powder, baking soda and salt. Mix flour mixture a little bit at a time into the sugar mixture. Fold in zucchini. The batter will not seem wet, don't worry the moisture in the zucchini will fix that when baking. 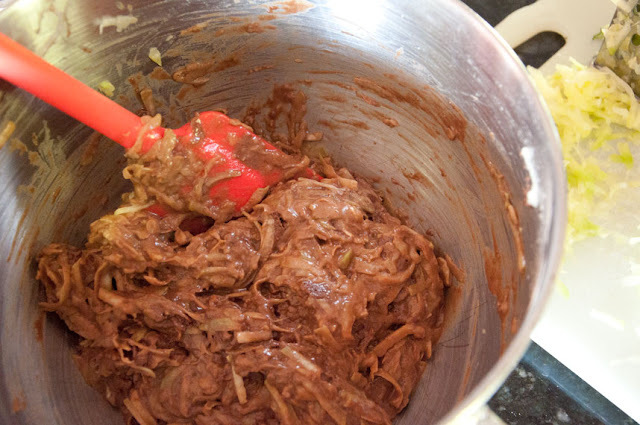 Spread the mixture evenly into the prepared baking dish. 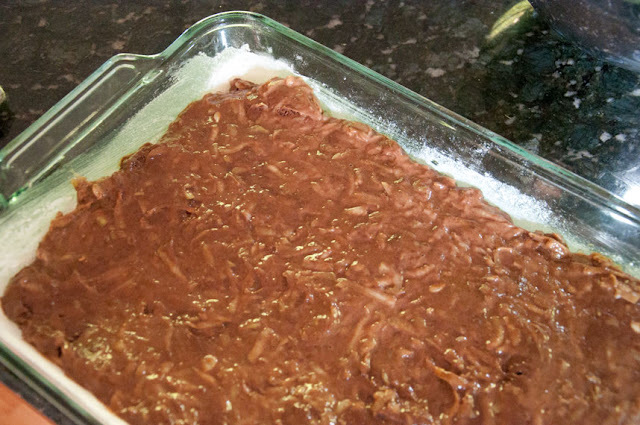 Place into the oven and bake for 25-30 minutes until the brownies spring back when gently touched. Remove from the oven and allow them to cool. 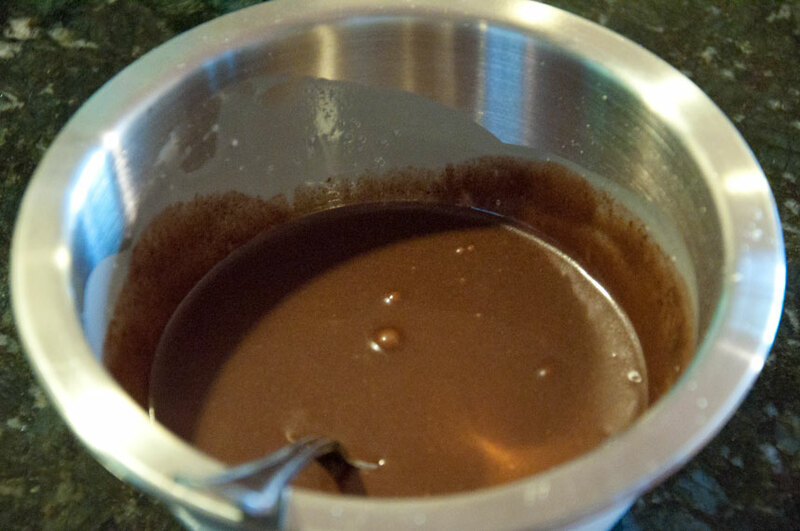 In a small saucepan over low heat melt together the cocoa powder and butter. Set aside to cool. In a medium bowl blend confectioner’s sugar, milk, and ½ teaspoon vanilla extract. Stir in the margarine/cocoa mixture. 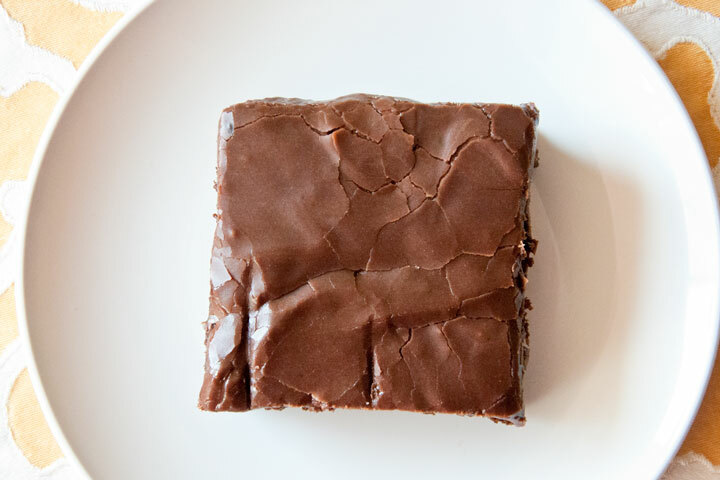 Spread over cooled brownies, place in refrigerator for a few hours to let frosting set up then cut into squares. The longer the brownies sit, the thicker the frosting will be! 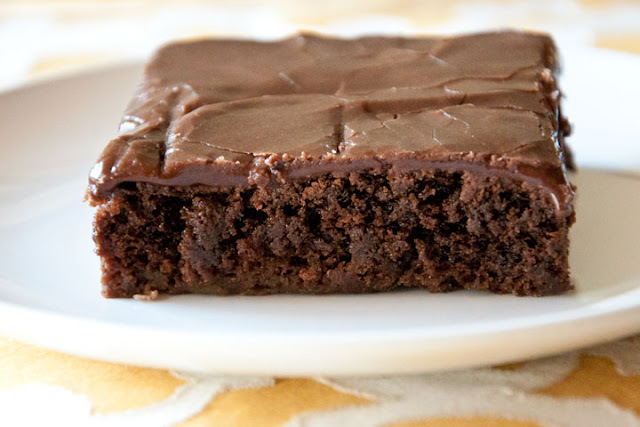 Christopher took these delicious brownies to work to share with his co-workers. Chris works in a very male dominated environment where I didn't think such a baked good would go over very well. I meant to tell Chris to not mention the zucchini bit but I forgot to! When he got home I asked if people ate the brownies and he said yes. I then asked if he had said what was in them and he did! Guess I assumed wrong. They were a hit! 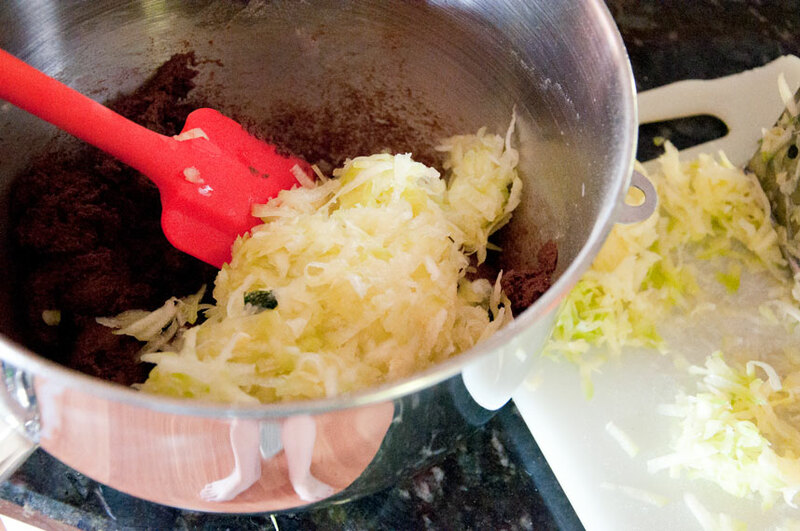 Do you have any recipes that call for a surprise ingredient? Aw, you sweet thing, thanks for the shout out!. These look really great, and with zucchini and applesauce, they hardly qualify as a guilty treat!